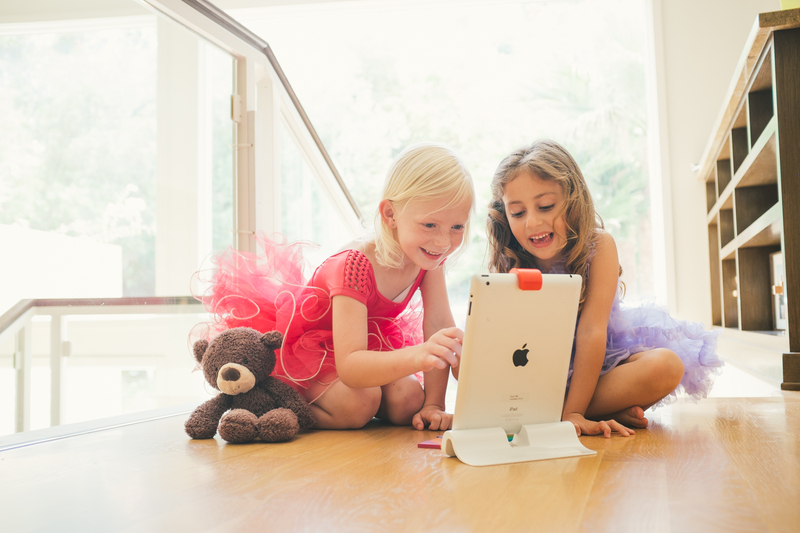 Osmo’s camera mirror allows the iPad to recognize objects placed in front of it, extending game play into the real world. 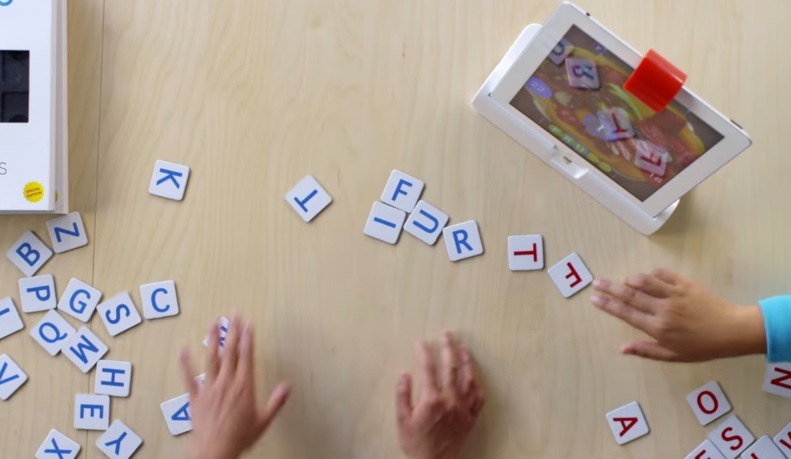 Words is a simple game, but it shows some of the technology behind Osmo at work. During our demo, I first tried to align all of my letters neatly in front of the iPad, only to be interrupted by Sharma. That’s not how kids play, he told me. Instead, he just dumped a handful of letters on the table, and Osmo quickly recognized all of them, regardless of alignment and orientation. It’s a pretty addictive game, and very impessive technolgy as well. 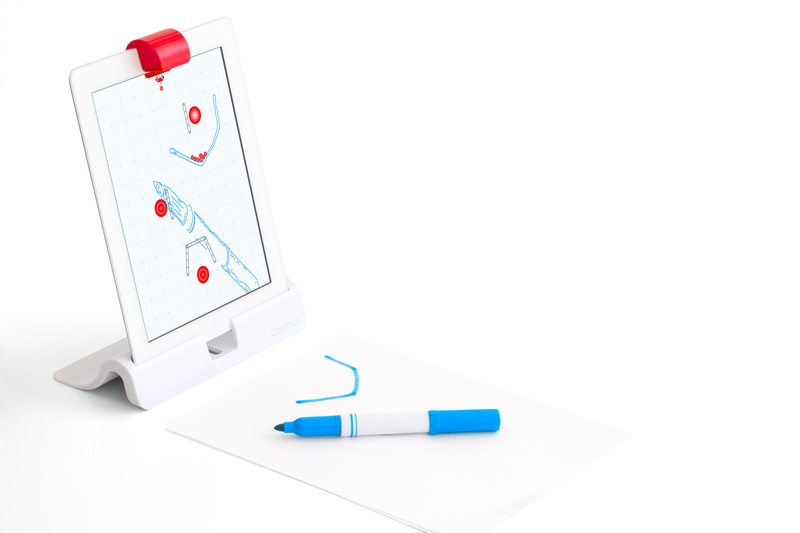 Osmo’s Newton game is controlled by drawings, and even real world objects. 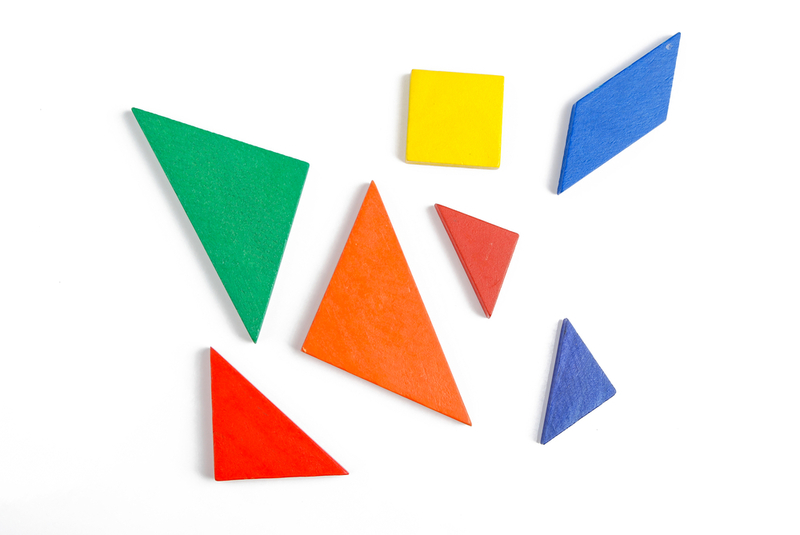 Tangram has been around for hundreds of years. 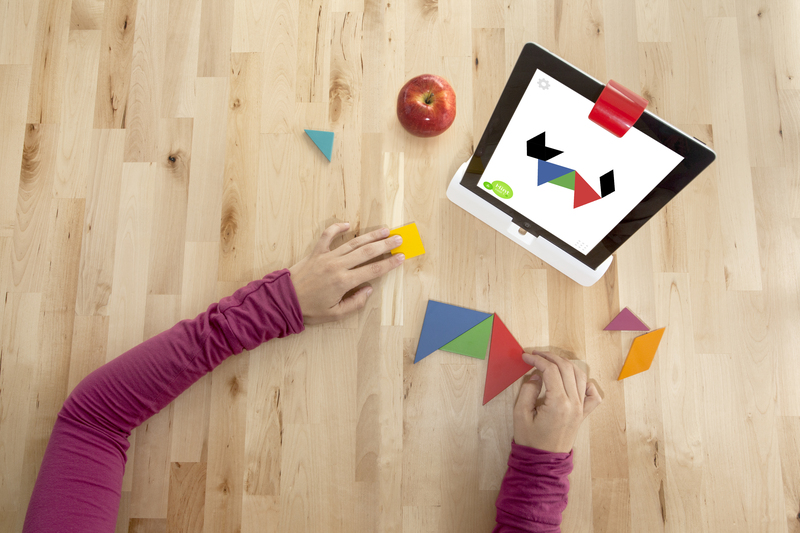 Osmo is trying to reinvent the game for the mobile age. The other inspiration for Osmo was Sharma’s previous job. Before launching the company, he worked for seven years at Google(s GOOG), where some of his duties included working on Google’s book scanning project. Back then, he started thinking about what else you could scan, and how you bring real objects into the virtual space. Kids don’t perfectly align letters, and everyone’s living room table looks different — so Osmo has do do some heavy lifting on the computer vision front. Osmo is incredibly well-designed, and uses magnets to make sure the mirror doesn’t get lost in a household with kids. i-waste your money on this sorta crap. Still nothing with lasting power. The iPad is having an identity crisis right now. It was meant for entertainment and information, not a bad gaming platform. But it’s not very good for productivity. We have 3 iPad’s and 2 Windows Surface Pro 2’s. We mainly use the Surfaces now, but for those few apps we can’t find a windows program for, we use the iPads. It is sort of a shame to see such expensive tablets sit there not being used. Gave away 2 iPad 3’s to family members. Tough time we are in, No one platform is quite right, except for the MAC Desktop and the Windows Desktop. All tablets are trying to be more than what they are. There are already children specific tablets that can do this using a positionable camera. Not to mention a Microsoft Surface Table project that doesn’t require keeping track for so many stray pieces that can get lost or chewed up by the dog! ….it’s a FAIL in my Book!!! Not a fail, just another copy cat idea. But it won’t be shipped ‘in a few weeks’. It is still many months away according to their site. 50 bucks for a clip on mirror and a plastic stand? Seriously? Which company with any credibility whatsoever makes people buy something months before it’s even available? As for the ‘discounted price’: you can’t advertise something at a discount until it has been sold at the original price. Anyone can sell something ‘at a discount’ on a price they have no chance of ever selling something. Sadly, some people will be suckered into this scam in the same was they did with that other scam, the electronic Tag. Wave goodbye to your money people! Don’t worry, when they can afford to take on a fragmented, low quality, inconsistent hardware platformâ€”wait, they’ll probably be working on the next iPad game and investing their energy efficiently. I’ll look forward to testing the Tangible Play products. Brilliant idea and well designed. Can’t wait to get one for my kids. DÃ¶s it. work with the iPad mini as well? 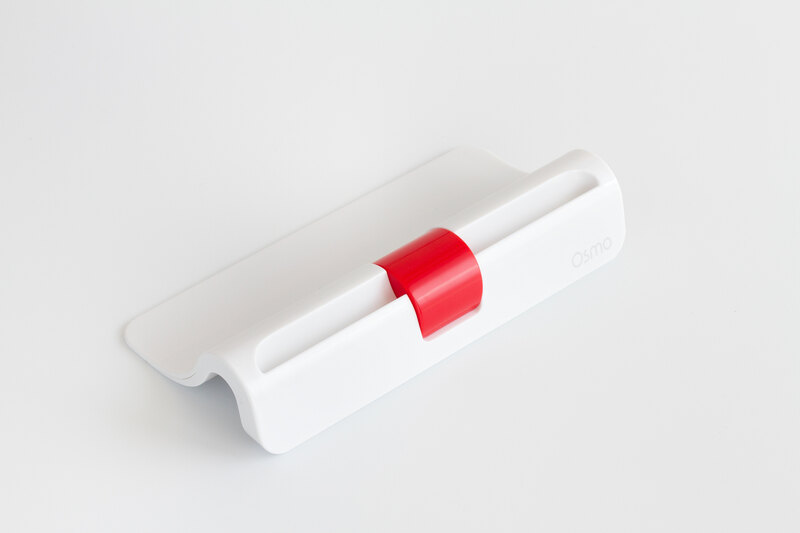 Where can you buy the osmo without buying it online? Cool and even interesting. But what’s the point? I think you mean ‘portrait’ not ‘landscape’ with respect to the iPad orientation. You guys are right, thanks for catching this. Well, for 50 bucks, you figure!